As students, most of us understand the value of time, mainly because we feel that we have too little of it. Think for a moment, of how frequently you say or hear things like “I don’t have time”, “I wish I had more time”, or maybe even “I ran out of time”. When we stop and think about it, we can see that when it comes to time, it’s a level playing field. This is because we all have the same 24 hours in a day; the only difference is what we choose to do with it. The following are 5 tips to consider if you want to improve your efficiency with time. As poet Victor Hugo said: “He who every morning plans the transaction of the day and follows out that plan, carries a thread that will guide him through the maze of the most busy life. But where no plan is laid, where the disposal of time is surrendered merely to the chance of incidence, chaos will soon reign.” Stated simply, make a plan (either in the morning or the night before) and stick to it. As a student, your “to-do list” most likely carries many items. The priority of these items will vary. Identify which tasks are the most important, and tackle those first. This will ensure that your efforts are productive, meaning whatever progress you make, is towards an important task. Multitasking is often seen as a productive quality, but if misused, it can definitely be detrimental. When working on a task, try giving it all of your focus and energy. You may notice that you are finished the task much faster than you expected, and, also, you may be pleased with the quality of your work. These things may suffer if you attempt to juggle too many tasks at once. This really is self-explanatory, but sometimes overlooked. The most dangerous culprit here is social media – Facebook, Twitter, Instagram, Snapchat, and any messaging service – threaten to drain your time unproductively. The first step in dealing with this issue is being aware of how much time you actually spend on social media. Similarly, when it is time to get to work, remove your phone or any other avenue in which distractions may appear. “Never waste any time you can spend sleeping.” – Frank Knight This is important to avoid burnout and remain productive. Aim to sleep 7-8 hours a day and try your best to avoid unnecessary activities (especially late night activities) that will needlessly drain your time. 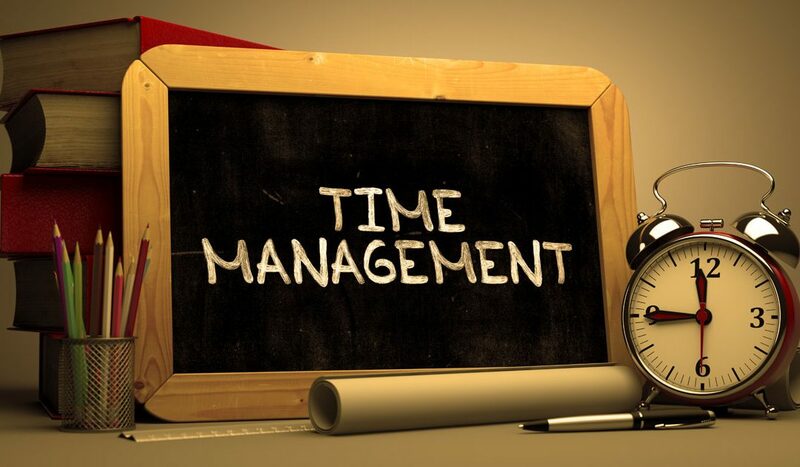 As you can see, a lot of what time management is about is planning ahead, focusing on productivity, and recovering properly so you can stay efficient. If you find yourself always running out of time, try to see which one these aspects is troubling you, remedy it, and note any changes.